When Dean Yurkewich talks, people gather and listen. He blew in to a roomful of women who were all enjoying some feminine fellowship and before long, several of us were huddled around listening. Dean is intense and passionate about the dream God gave him and he’s going after it with all he’s got. During the many years he served in church ministry he was frustrated in his desire to impact the community and get involved with people in a meaningful way because the ones that most needed help wouldn’t think of getting it from a church. Church was the last place they’d go. Dean’s dialogue with a local South African doctor who shared his passion for helping hurting people led to the birth of VISION 5. The doctor has a supply of Dean’s “business” cards on hand and when he encounters people who are in need, he gives them the card that simply says: “In need? Call us. 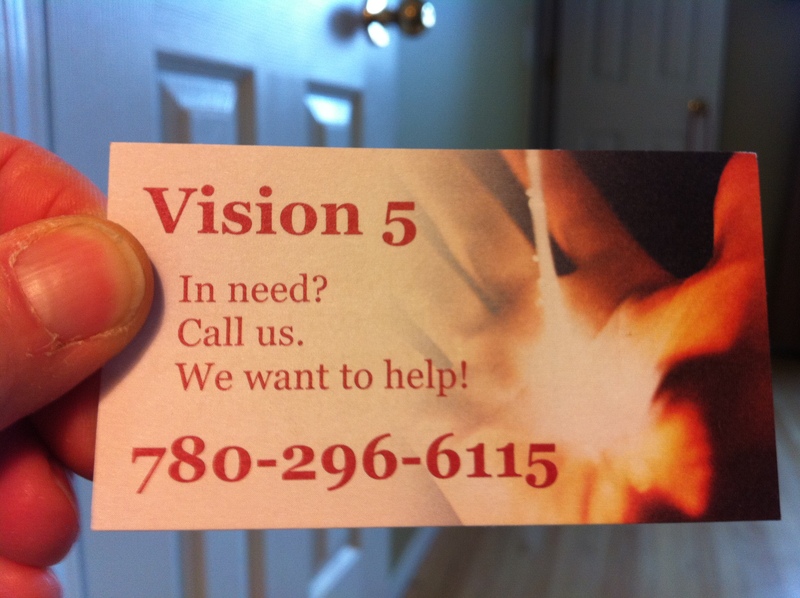 We want to help!” On the back of the card, it reads: “Vision5, We are a community group of volunteers who want to help people in need. 1. Dean and his church (who now gather in homes) pray that God would show them the needs they can meet that can bring glory to God. Depending on the expressed need, Dean utilizes his network of volunteers to get involved in their particular area of expertise, interest, or giftedness. 2. Recognizing that it’s difficult for people to admit they are in need, Dean treats them with dignity and respect and gives them an opportunity to get involved in helping others too. He has seen people with very little, get excited about sharing with others in need. The chance to give back makes people feel needed, worthwhile, purposeful. 3. People who have been helped are invited to join with a house group. 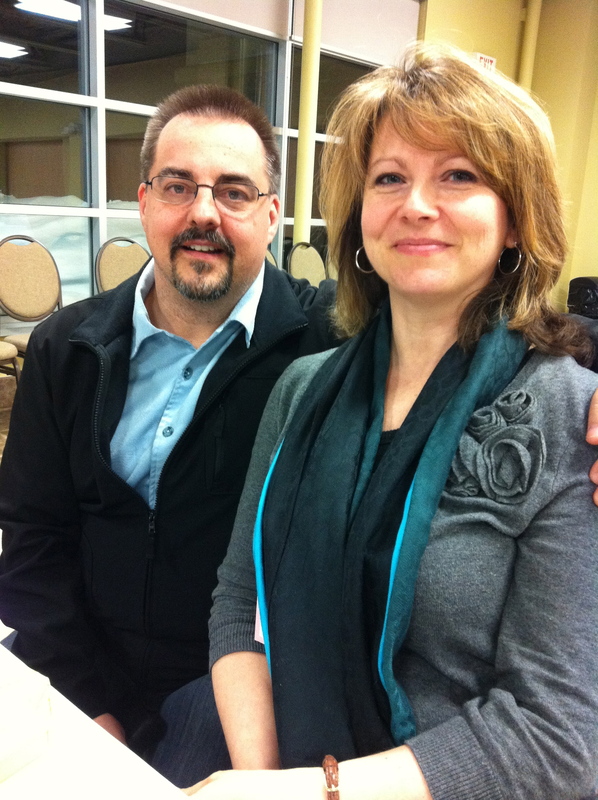 The opportunity to gather with like-minded people for mutual encouragement and support is appealing to many of them. “But it’s messy!” Dean says. The type of people he meets every day have “messy” complicated lives and it takes Christlike love and compassion to be willing to pour out your life for others. Dean has received calls from crack-addicted moms who can’t afford to buy milk for their babies, from disabled people who need help hanging curtains and everything in between. God gives the dream. It sometimes seems impossible to meet. But by following Him, one yes at a time, “dreamers” like Dean Yurkewich are making an impact in his hometown. What’s your God-given dream?